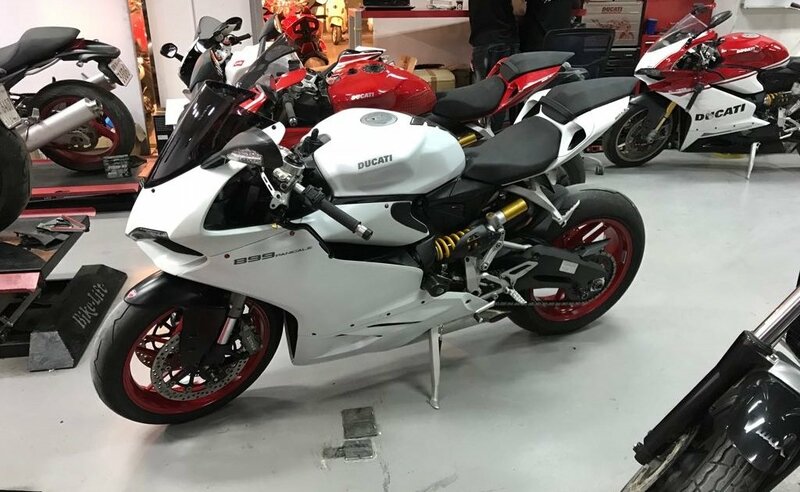 I’m new to the forum, I purchased my 2014 899 back in December, and I’ve been lurking around here reading posts and trying to learn as much as I can. 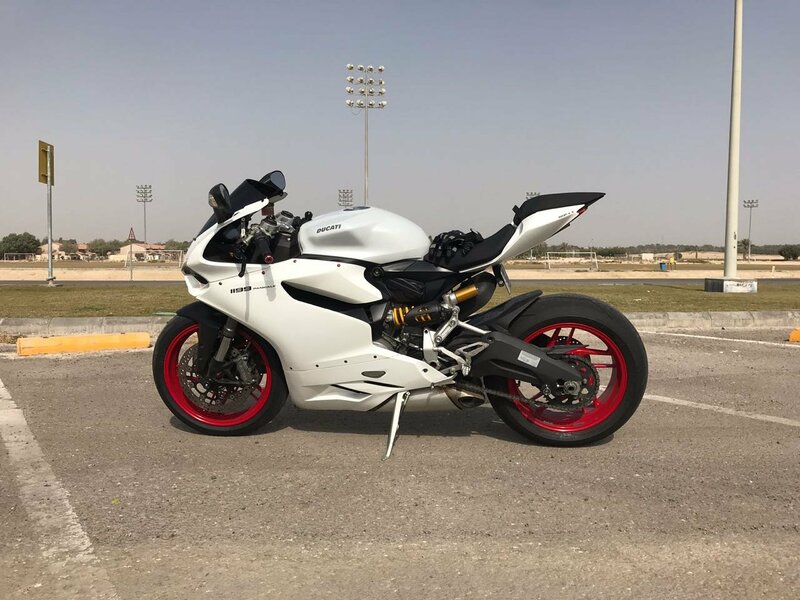 I purchased the bike from a track enthusiast, so please ignore the fairings it’s an 899. 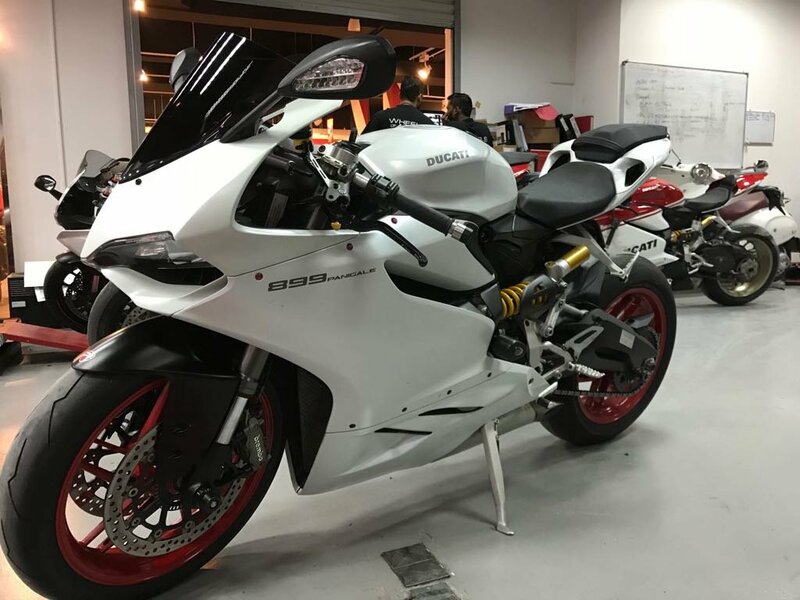 The previous owner used the knockoff 1199 fairings strictly for the track. I’m in the process of servicing the bike and switching back to the original fairings. 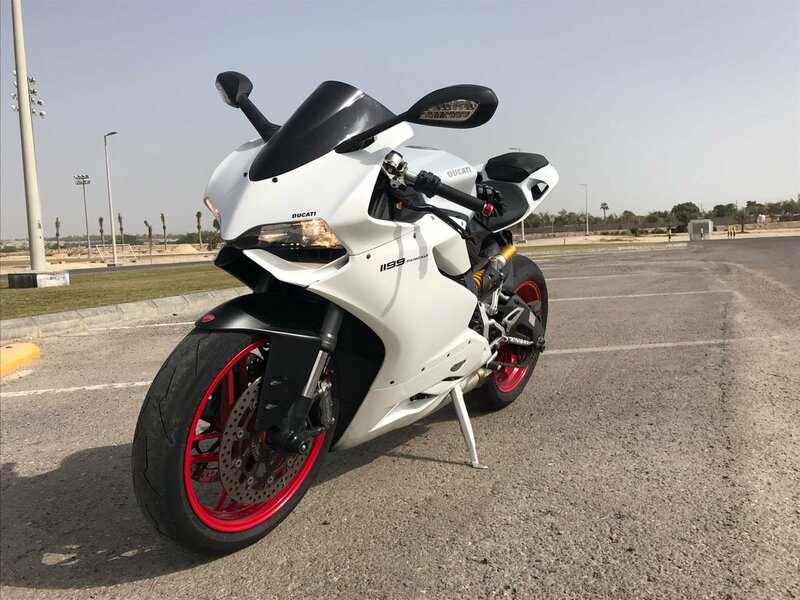 I’m trying to set up the suspension so it can suit my weight (140 pounds/ 64 KG), the previous owner was around 180 pounds/ 82 KG and had the bike in track settings. 2. Preload setting; does fully turning the hex clockwise achieve the fully open position? 3. The rear shock, does turning the settings fully clockwise achieve the closed position? Final question, to appropriately adjust the Sag and before doing all the measuring, in what suspension settings do I need to have the bike? You're going to want to set the sag before doing any other adjustments. General measurements to get you in the ballpark for a street bike would be around 1.5" to 2" of sag on the front forks and 1.5" in the rear. Race bike 1.25" on the front forks and 1.125" in the rear. If you can't achieve these numbers with the spring somewhere around the mid range you have to replace the spring. When adjusting rebound and compression, generally you want to turn everything to the right until you can't turn it anymore then count the number of turns to the left to set it. I just recently had a baseline adjustment done, meaning setting a proper sag. The front is a bit limited, unfortunately, you and I, both are on very much the light side (I'm about 130lbs). The rear, my trusty mechanic tells me, a bit more that it can go. Anyway, the sag first, then the rest. And change one thing at a time, over the same stretch of a road. Much appreciated. Thank you for the feedback. I took the bike in for service and the mechanic dialed in the Sag. It's much more comfortable and slightly lower (maybe less than an inch) but it made a lot of difference especially at traffic lights and in the driveway. I will experiment with the rebound and compression as I go. Because I just did this recently, pick a stretch of a road that is representative of majority of your riding. In my case, that is pretty broken, repaired surfaces with weird cambers. Because I only ride on street, I started from one full turn from the softest on compression, and two full turn on rebound front and rear. And I rode the same bit of the road over and over with changing one thing at a time. It's actually a lot of fun doing this. Hope you have a good stretch of curvy road to do this. I will give that a shot and see where it lands. Thanks again.